SEMRush shows to how to increase your traffic and sales over your competitors. Learn why you should be using this data tool in your business. One of the biggest challenges for owning a website is getting traffic to your blog. Besides getting traffic. You also have to worry about your competition breath down your neck. But I’m going to show you a little tool that will end all the worries about traffic and your competitors. Why put yourself through all the headache when you don’t have to? In today’s article I’m going to show you how to see exactly what your competitors are doing on their website. Then you can do the same thing on your website. Does that sound easy? But that not all my friend. I going to show you how to take their top producing keyword, backlinks, content and turn them into to traffic. Why You Should Be Using This Tool? Start learning why you should be using SEMRush. It would be awesome the beat out our competitors in search engines. This is one reason why I recommend this tool to help increase traffic and put more sales under your belt. The benefit of using SEMRUsh let’s go in deeper. Teak your site: You can make major tweaks on your website to boost traffic and ranking in the Google search. Spy on your competitors: Research your competitors best keyword. This can have a huge impact in your next marketing campaigns. Allowing you to identify with your competitors stats. SEO Keyword Booster: If you are having trouble increasing traffic. This tool will help you find the best keyword that boost traffic to your website in little time. Organic traffic: Organic is the best traffic. This is where you start to make more sales, because this is target organic traffic coming to your website. This too allow you to take a look at your competitors traffic results. A lot organic comes from backlinks, now you can track down the result using SEMRush. Building Your Links: Learn your competitor backlink profile. This allows you to see where their audience is coming from. Plus get a list of authority sites that is linking back to them. This is powerful in increasing your backlink on your own site. You can start developing a relationship with these authority sites. PPC Keyword Advertising: The great thing about this tool. it allows you see your competitors ad campaigns and find out what keyword is working for your money. Take advantage all with a push of a button. Traffic Analytics: If you are familiar with Google Analytic then this tool is like it. 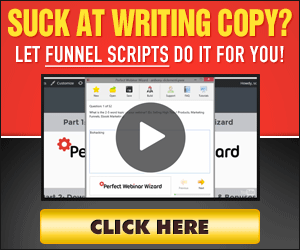 Discover how well your traffic work on a monthly basis. You can see which country your traffic is coming from when they come to your website. You can use this tool as free member. There are limited to certain feature. Plus they will track your searches and cut you off when you reach your daily search. If you need more results then you can upgrade your plan. As an internet marketer, finding ways to increase your traffic and sales. This is one tool I recommend you that you give it a try. Sign up for your free account and start using the free version of this tool. Check out this add bonus just for reading this article you will love it. Then later on when your business grows, upgrade to the bigger plan. It’s important that you discover the tools and resources that going to help your business become successful. So if you want to increase traffic and make more sales grab this awesome tool today. I hope you have enjoyed this article and it has provided you with the answers you need to build your online business. If I can help you in any way Please contact me. Plus, I love to hear your thoughts about this article. Please leave a comment below. Viral Ads Unleashed Review-How To Get Traffic To Visited Your Site. Thanks Stacy for commenting on this post, Please come back and view more of my blog post. SEMrush is a really powerful marketing tool, however, I think this tool is for experienced marketers or those working in an SEO agency. For the average affiliate marketer, this tool is way too expensive. When I was relatively new to the online marketing scene, I purchased this product back when it was $49.99 monthly payment. It has tons of features, the majority of which I never used. I just wanted a keyword tool to analyse monthly search volume and competition.SEMrush was overkill for a newbie like me, It’s why I canceled my subscription and am now using a cheaper and yet pretty powerful keyword tool called Jaaxy. Minhaj thanks for commenting. Yes SEMrush is mostly for the advance marketer who want deeper insights on their competition. But if you are just wanting keyword then jaaxy is a great tool. SEMrush is great for more advance.